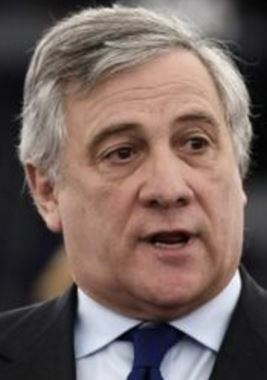 The European Parliament elected a new speaker last week in an unusually hotly contested vote that could strengthen Euroskeptic forces at a time when the EU faces Brexit and questions about its future role. Meanwhile, Europe’s leaders were going at each other’s throats in Davos as the dispute over how to stop the EU from collapsing exposed divisions that are deep within Europe following the British withdrawal. What Rutte was saying tore at the heartstrings of Europe’s elite. Martin Schulz, the former European Parliament’s president as of January 17, 2017, could not resist the bait. Martin Schulz is a German Social Democratic politician who previously led the Progressive Alliance of Socialists and Democrats in the European Parliament. Mr. Schulz jumped up saying, “If it’s Angela Merkel, or Mark Rutte, or whoever else, they must have the courage to say that we need ever-closer union more than ever in the 21st century, and without it the EU has no future.” Indeed, the EU has no future for this has all been about federalizing Europe when they promised that would never happen when they first began. Can European Sovereign Debt Really Crash Without a Free Market?